This interactive presentation contains the latest oil & gas production data from 66272 horizontal wells in 8 US states, through September. Cumulative oil production from these wells reached 6.0 Gbo, while cumulative gas production topped 49.4 TCF. The overview shows that in the first 9 months of 2016, oil production from wells that started production before 2016 declined with roughly 1.5 million bo/d, while new production added 1 million bo/d. This means that over this period about 2/3rd of the decline was covered with new production. The situation for gas was rather different, as gas production from these wells has kept relatively steady around a level of 35 BCF/d. September does show a 2016 low for gas production, which may remain the case after revisions have come in. The “Well quality” tab gives an overview of how the production profiles of all these wells has changed over the years. There is a very clear shift to ever higher initial production, while the production decline afterwards is steeper compared with wells before 2011. Those early wells were mostly Bakken wells in Montana and North Dakota, which do display slower declines in oil production. In this overview, I’ve selected only the basins where oil production is dominant, so if you wish to look at the other areas, like the Appalachia basin, please update the “basin” selection. We can see in the last tab (“Top operators”) that the largest operators all showed some decline in total oil production in the first 9 months of 2016. This “Ultimate recovery” overview provides another clear view on how production profiles have changed, and an indication of what that means for the average recovery from these wells. The thickness of the curves resembles the number of wells that started in that period. Also here I’ve selected the main oil basins. In the next tab (“Cumulative production ranking”), I’ve ranked all counties based on their cumulative production. 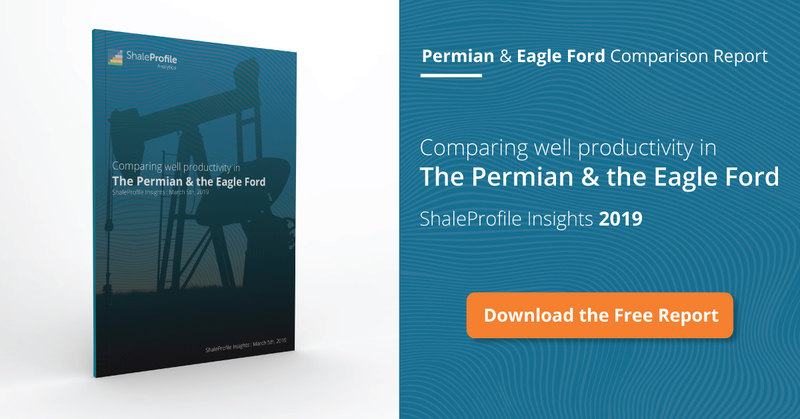 McKenzie and Mountrail, both in North Dakota, are clearly on top, but Karnes in the Eagle Ford was producing oil at a higher level in September than Mountrail, as the tooltips show. If you switch to gas in this overview, you’ll see that Susquehanna county in Pennsylvania, is clearly the leader in cumulative gas production. Once the North Dakota Industrial Commission has released November production data (I expect around coming Friday), I will post another update on North Dakota. Texas Railroad Commission. Well production profiles are estimated from well status & lease production data, as individual well production data is not provided. It is difficult to believe that people are naked long shale oil stocks over the next 45 days. Annual reserve report announcements are due using an average oil price of $43 per barrel WTI basis. Take CLR for instance, last year they had a proven PW-10 of $8 billion dollars against debt of $7.5 B. This was run at $50.28 WTI. Their PP&E was $13 billion. They said they were going to do a “standardized” reconciliation when their tax return data was finished, they didn’t. Anybody has any more data akin to the above to watch, I would be interested to hear.